Not to worry, the attacker was only about 11 inches tall and armed only with kisses and cuteness. 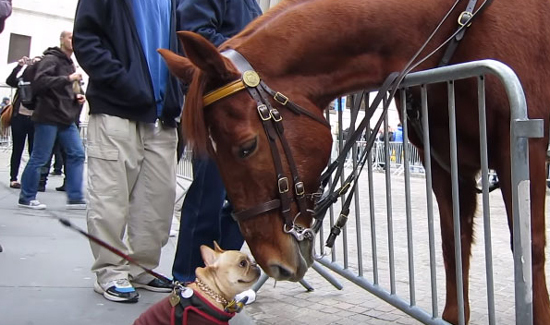 Someone was walking their dog in New York City recently when the k-9 spotted a pretty enormous horse with the NYPD Mounted Unit. It wasn’t long before they were best buds.